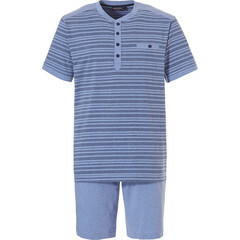 Pastunette for Men understands nightwear and they know what you want! Catering for the modern man from the sporty and fashionable to the classic and tailored, wanting to make sure you can feel comfortable and relaxed and later enjoy your nights sleep in as much comfort as possible. With Pastunette for Men ... you can sit back, relax and make your choice..
With Pastunette for Men you will find a range of different styles of short sets in fine or bold stripes, modern checks and trendy patterns, with or without buttons in a range of seasonal colours which means you will easily find something to suit you. 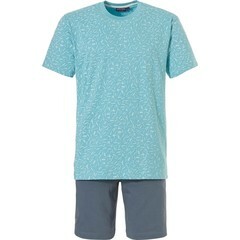 So, no matter how you spend your mornings or evenings, there is a men's shorty in this collection to suit you. So, all you have to do, is sit back and relax and make your choice..... there is a perfect short set in this collection which is ideal for you!